Ben has a wide range of experience in renewable energy development, construction, financing and transactional matters. Prior to joining the firm, Ben served as Senior Counsel for a large international renewable energy company, where he provided legal and business advice on all aspects of the company’s activities, including the development, construction, sale and acquisition of utility and distributed scale wind, solar and battery storage projects. Prior to that, Ben was an energy and natural resources lawyer at a large national law firm based in Denver. Having been both an advisor to clients and a client himself, Ben has a unique understanding of client needs from both a legal and business perspective. 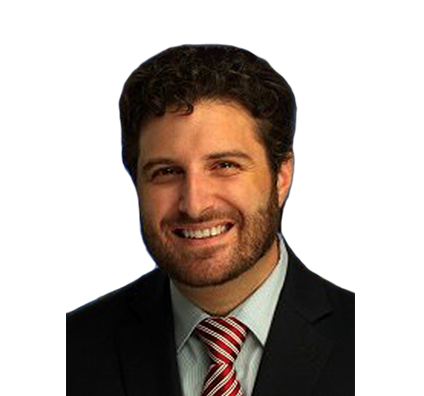 Ben uses this experience to provide pragmatic and cost-efficient legal advice and solutions focused on identifying and minimizing risk while achieving favorable results. Working on nearly all aspects of the development, construction, acquisition, sale and financing of more than 3,000 MW of wind, solar and battery storage projects in 18 U.S. states, Guam, Canada and Mexico. Drafting and negotiating power purchase agreements, interconnection agreements, land leases and other contracts for distributed generation solar projects in 5 U.S. states. Assisting in the development, construction and sale of over 15 MW of demand-response and frequency regulation lithium-ion battery storage projects for large utilities in Ohio and New York. Drafting and negotiating engineering, procurement and construction contracts and related agreements for over 1,000 MW of wind, solar and battery storage construction projects. Negotiated engineering, procurement and construction contract (EPC), battery supply agreements and other related contracts for 2-MW/12-MWh lithium-ion stand-alone battery storage project in Queens, New York. Negotiated EPC, power purchase agreement (PPA) amendments, battery supply agreements and other related contracts for repowering of 10-MW battery storage facility combined with wind project in Hawaii. Negotiated EPC, battery supply agreements and other related contracts for 10-MW lithium-ion stand-alone battery storage project in Ohio owned by Exelon Energy. Worked on development of 10-MW lithium-ion stand-alone battery storage project in New Jersey. Worked on various aspects of approximately 40-MW stand-alone battery storage project in Illinois, one of first battery storage projects to be financed. Worked on various aspects of solar plus battery storage development on U.S. Territory in Pacific. Negotiated EPC for 178-MW Patriot Wind Farm in Corpus Christi, Texas. Negotiated PPA for 150-MW wind facility in Kansas. Negotiated EPC for 80-MW Copenhagen Wind Farm in Copenhagen, New York. Managed various aspects of financing, development and construction of 150-MW Pleasant Valley Wind Farm near Rochester, Minnesota. Negotiated PPA for 250-MW wind facility in Midwest. Managed various aspects of financing, development and construction of 200-MW Border Winds Wind Farm in Rolla, North Dakota. Negotiated EPC for 100-MW North Kent Wind project in Mississauga, Ontario, Canada. Negotiated PPA for 200-MW wind facility in Midwestern U.S. Worked on various aspects of planned 600-MW wind facility in Midwestern U.S. Negotiated PPA, EPC and various development agreements for 15-MW Penitente Solar Facility near Alamosa, Colorado. Negotiated PPA for 150-MW solar facility in Texas. Negotiated PPA, EPC and various development agreements for 15-MW of distributed solar projects in Texas. Negotiated EPC for 6-MW solar facility in Pennsylvania. Worked on transaction to sell 315-MW solar facility to be built in Texas (largest solar facility in Texas). Negotiated EPC and O&M agreements for 30-MW solar facility in Northeastern U.S. Negotiated EPC for approximately 40-mile transmission line in Central America.